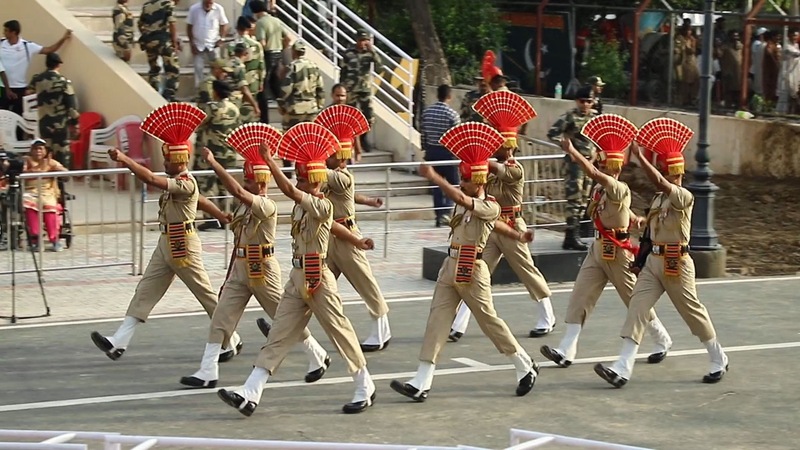 Wagah border is one of the few land border posts between India and Pakistan, near the cities of Amritsar and Lahore respectively. A daily army parade ceremony takes place on both sides of the two opponent countries border line. The soldiers follow a certain ritual of provocation in a rather hilarious choreographic show at the time of flags lowering. The parade attracts many visitors, mostly on the Indian side.